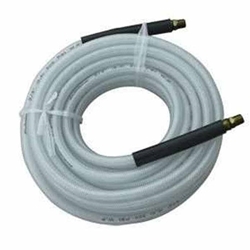 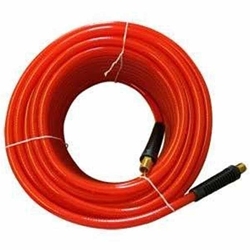 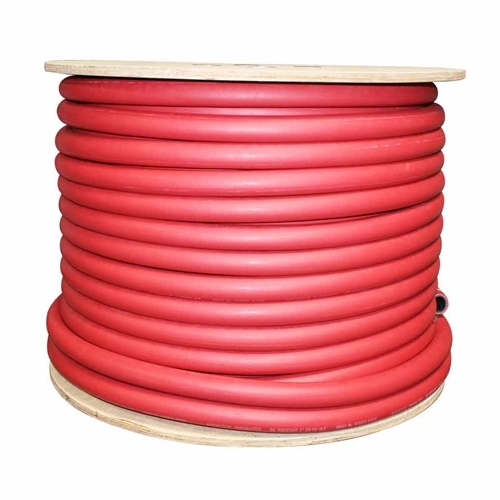 PVC Hose reinforced with extra strong polyester braiding, the inner tube is made from virgin resin PVC giving it excellent flexibility and low temperature resistance. Flexible kink resistant design. 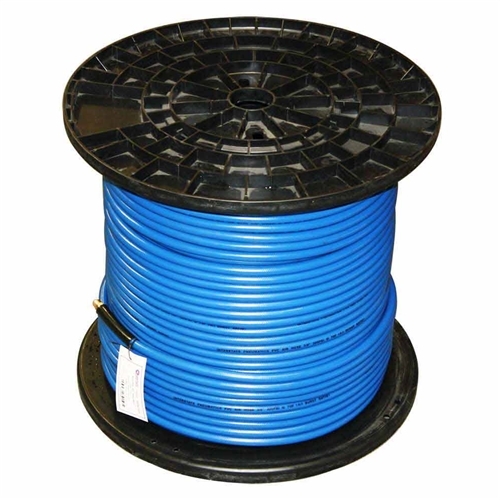 The outer cover also uses virgin resin PVC that is UV, oil and abrasion resistant. 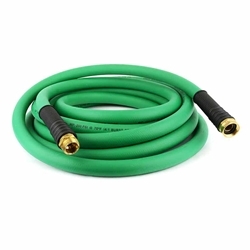 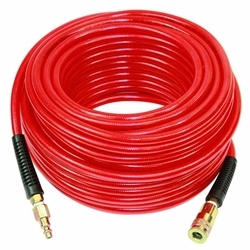 Hose has a 250 PSI working pressure. Abrasion resistant, weather resistant, oil resistant, acid, alkali and corrosion resistant. 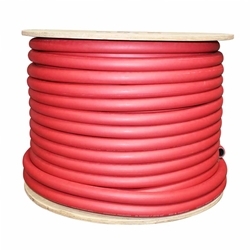 High pressure bearable, flexible, light in weight, anti-bending and nice bright surface. 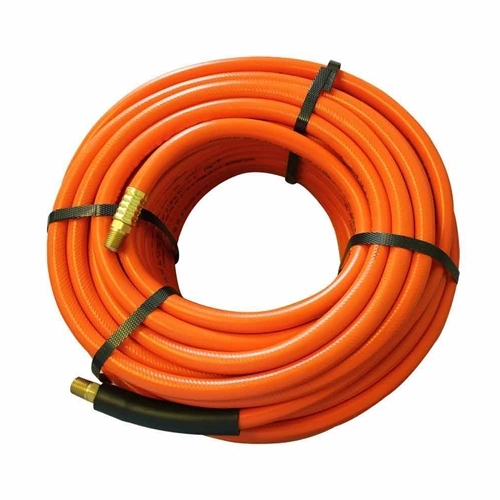 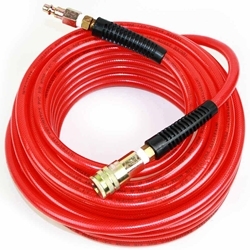 Pliovic is a lighter material than the traditional rubber air hose and is gas & oil resistant. The only downside to it is that it gets stiff when it gets cold therefore is not the best for outdoor cold weather applications. 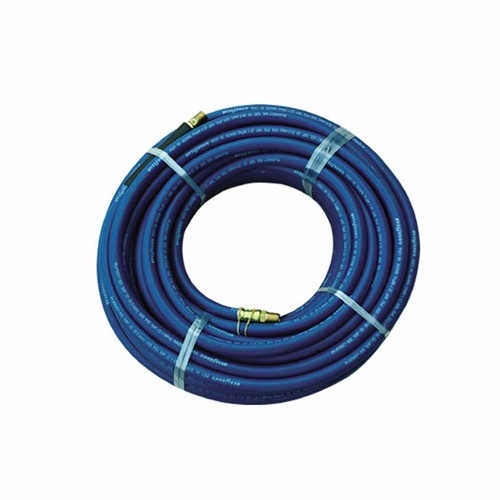 Pliovic is suitable for a wide range of industrial, construction, agricultural hand sprayers, and many multipurpose applications.